Backed by mountains and shaded by a canopy of winter thorn trees, Chongwe River Camp stands by the river and boasts some of the finest views in the Lower Zambezi. 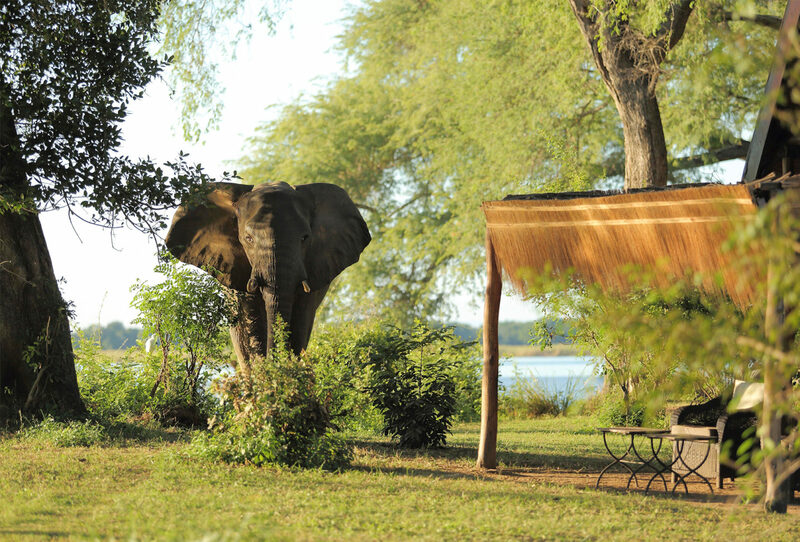 If you love elephants, then a stay at Chongwe River Camp is a must on your luxury, tailor-made holiday to Zambia. These majestic giants are frequent visitors and can often be seen wandering through camp. 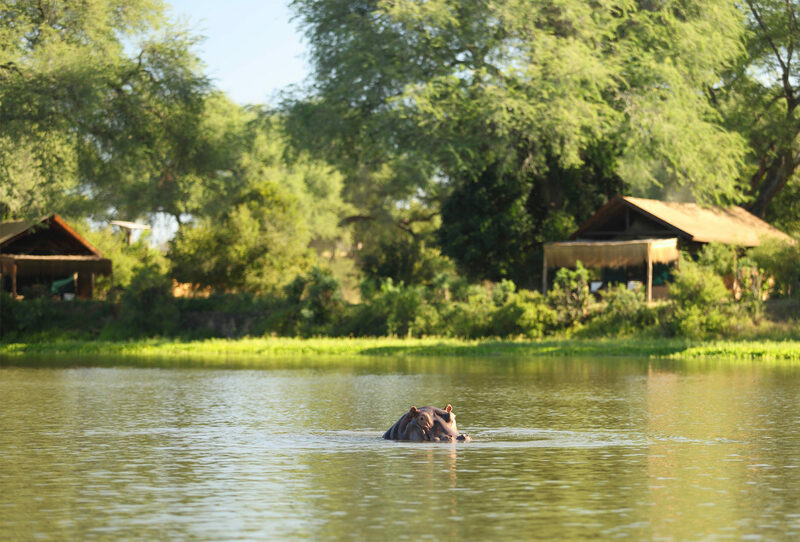 You’ll also be able to observe pods of hippo, crocodiles basking in the sunshine and a plethora of birds from the private veranda of your riverside tent. 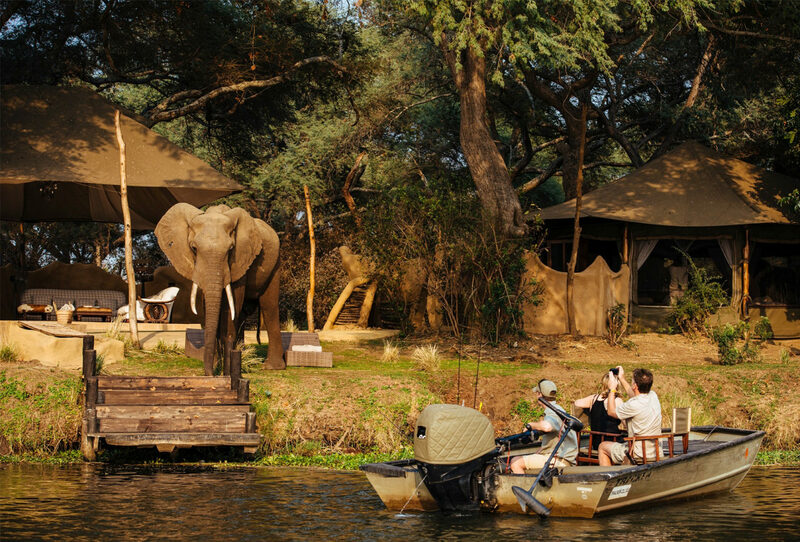 Seasoned guides will take you further afield on game drives, bush walks, tiger fishing excursions and canoeing safaris along the tranquil Zambezi river. 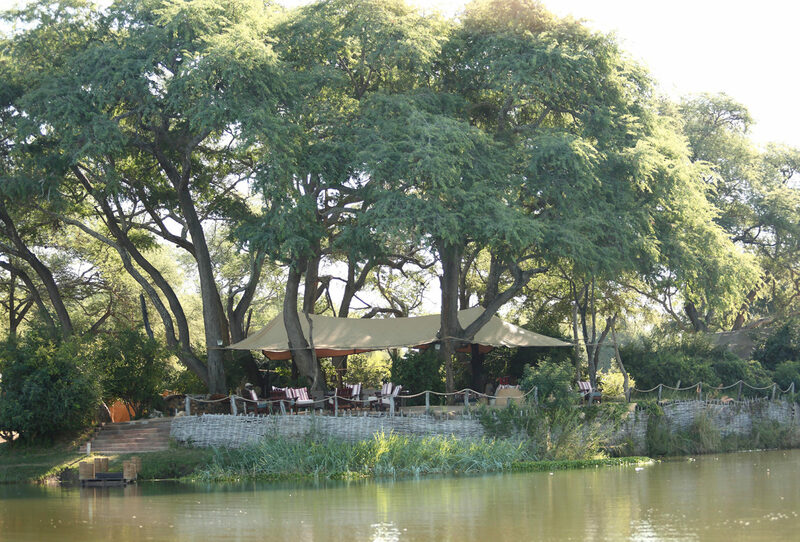 The use of natural, local materials and handcrafted furniture allows the camp to stand harmoniously with its environment, whilst modern luxuries like ceiling fans, charging points and shaded bathrooms ensure a comfortable and pleasant stay. There are just nine spacious tents in total, plus two luxurious suites that come with plunge pools, private dining and butler service. The company is by far the best we have ever used... In fact, wherever we have travelled we have made a specific point of mentioning the company to anyone we meet.